This is a design I that fell outta my head while I was working on a different design to submit to Knit Scene. This new design will feature lace, cables and beads, and if it turns out the same way I’ve pictured it in my head, I’m really going to like it! (Of course, in my head, I’m a size 8, 28 year old, so that tells you how accurate my minds-eye is). I really love this yarn, and you certainly can’t beat the price! I don’t know about you, but sometimes I wish more designers would use the more easily-accessible, non-wallet-draining yarns out there. 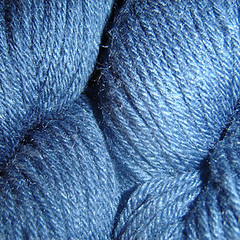 Some, like this silk/merino blend are simply gorgeous and so wonderful to work with! 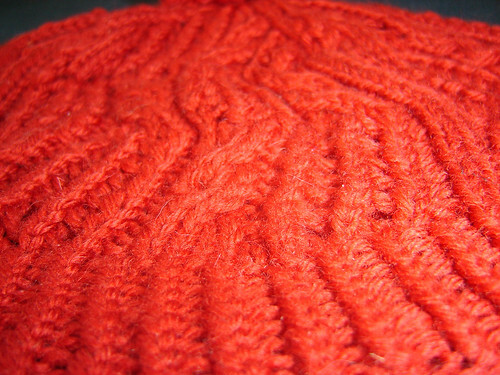 Originally I had intended to submit several entries to the Knitting Purls Design Contest. This was one of them. As you can see, it’s definitely NOT finished. (Actually, that’s just the start of the lace pattern swatch). 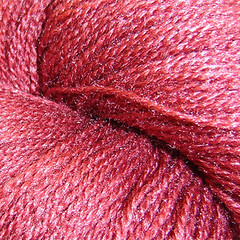 This time the yarn is, wait for it… Knitpicks Gloss LACE in “Port”. And yes, this will also be beaded. 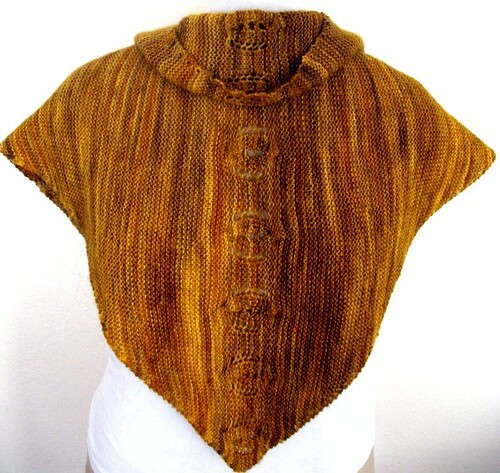 and before I forget, you all need to head on over to Fickleknitter. She’s having a naming contest for a shawl she’s designed using Dizzy Blonde “Goldie“! 28? Are you sure? I see you more at 25 with a wise and knowing air about you that people find alluring yet intimidating. I think your beads have rubbed off on my minds eye 28 year old self. Just sayin’. Huh. I just had to frog a project because I realized that I wasn’t 28 and a size 8 anymore myself. Mind you, realizing it and actually believing it are two separate issues. 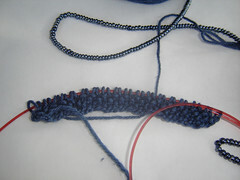 Your lace, cables and bead design is going to be beautiful. I can tell. I love that shawl of Fickleknitter’s but my creative mind is just flat out blank. Love the Knit Picks Gloss. I agree with you on the value. And congratulations on the Knitting Purls Design contest!! You rock!! Congrats on your Knitting Purls contest. I just saw the news over there!